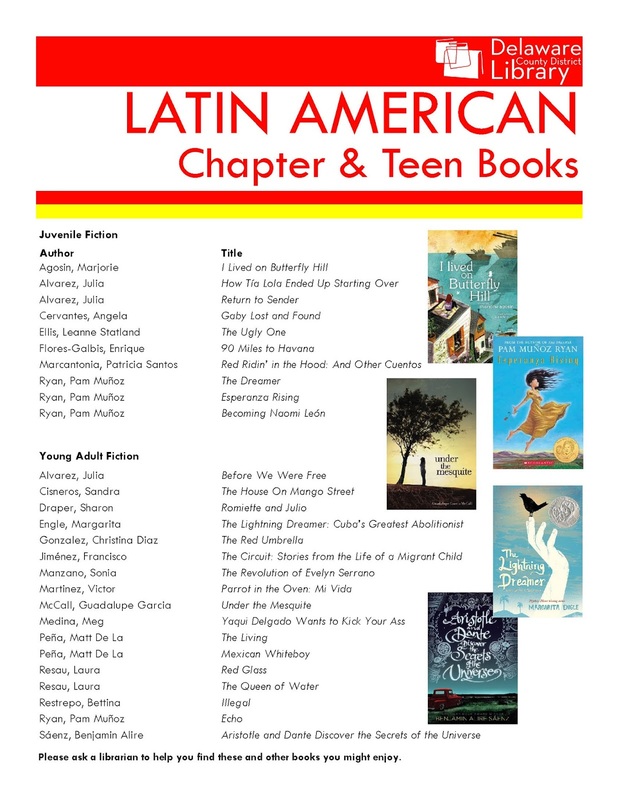 The signature novel for DelawaREADS this year is Cristina Henrìquez's The Book of Unknown Americans. There will be six Delaware County District Library book groups discussing this title throughout September and October. In the mean time, the Youth Services librarians at DCDL wanted to offer some of their favorite picture books, chapter books, and young adult novels that celebrate Latin America and stories about Latino Americans. 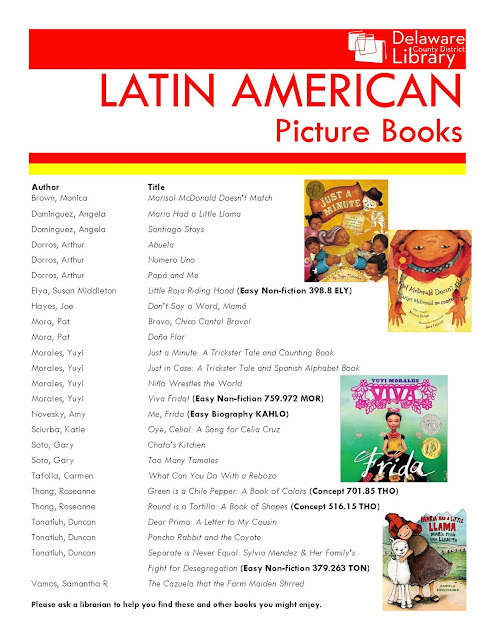 Visit the Library catalog to reserve your copy of any of these titles.